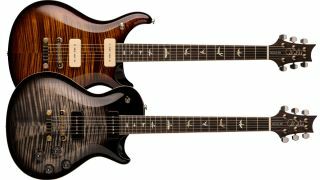 SUMMER NAMM 2017: PRS has announced a tonal tweak for its McCarty 594 and McCarty Singlecut 594 guitars, equipping them with PRS/Seymour Duncan P-90 Soapbar pickups. Both guitars feature Seymour Duncan Antiquity P-90s, tweaked to sit at the proper height in PRS’s cavity design, and promise full chord sounds and sweet single notes. 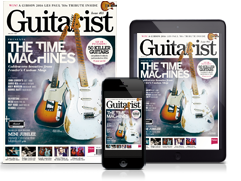 Elsewhere, the guitars are as per the originals, with a 24.594” scale length, Pattern Vintage neck carve, tweaked Phase III locking tuners with modified collars and set screws, and a two-piece zinc bridge. There’s no limit to the number of McCarty 594 Soapbar models that will be built, but orders need to be made between 11 July and 31 August. Head over to PRS Guitars for more info.